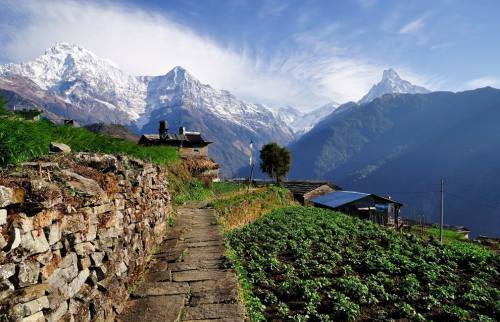 Annapurna circuit or around Annapurna trekking is one of popular trekking trails in the Annapurna region, where one can see and enjoy with the panoramic scenes of Himalayas, including the Mt. Dhaulagiri 8167m, Mt. Annapurna I (8091m), Mt. Manaslu (8163), Mt. Annapurna II (7937m) , Mt. Annapurna III(7555m), Mt. Annapurna IV (7525m), Mt. Annapurna south (7219m), Mt. Nilgiri (7041m), Mt. Fishtail also called Machhapuchhare (6998m) , Mt. Hiunchuli (6441m), Mt. Lamjung Himal (6986m),Tukuche peak (6920m), Tilicho peak (7134m) among others. Since the Manang was opened for trekkers in 1980s, the trekking in the area has become a centre of attraction for many tourists, as the region is rich in breathtaking scenes. Besides that the tourists can explore the diverse culture and lifestyle of people living in the areas and the flora and faunas lying as a living museum. Furthermore, one can see a blend of culture of different caste and creeds living in the area namely, Bramin, Chhetree, Tibetian sherpa, Thakali, magars, Tamang, Gurung among others. Subsequently, the higher you go up the more panoramic views of Manang village, forests and queuing hills you can see, which are some of the features of trekking in the Annapurna regions. 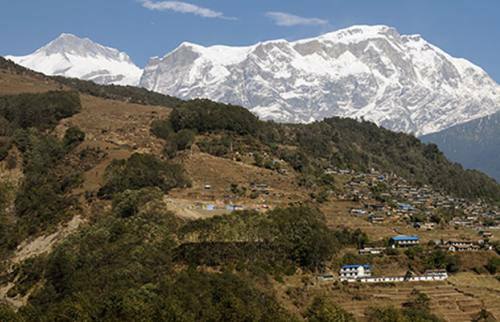 The Around Annapurna Trekking is one of the classic trekking in the world. 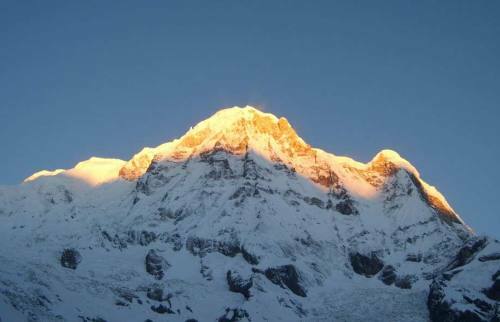 The circuit takes one around the Annapurna Himal, following the courses of two-mighty rivers namely Marsyangdi in the east and the Kaligandaki in the west, and takes one over the (5416m)-high Thorung La Pass in between the upper reaches of the rivers. The Kaligandaki is the worlds deepest gorge, flanked by the giant Dhaulagiri and Annapurna Himalaya range. The trekking around Annapurna trekking begins from Ngadi or Jagat, some six hours drive from Kathmandu and we subsequently continue our trekking to Dharapani, Chame and we take circuit to Pisang or Manang (3540 m), from where we can have scenes of Gyaru village, Ngawal village, similarly the views of Annapurna II (7937m), III (7555m), IV (7525m), and Gangapurna (7455m) and we finally reach to Manang village and rest then we explore some of the areas lying around. Subsequently, next day, we head up to ledar (4030m), Thorong Phedi via thorong Pass (5416m) and Muktinath (3800 m) exploring of the area we head to Kagbeni (3100m) and Jomsom (2770m) and we catch airstrip and fly back to Kathmandu. 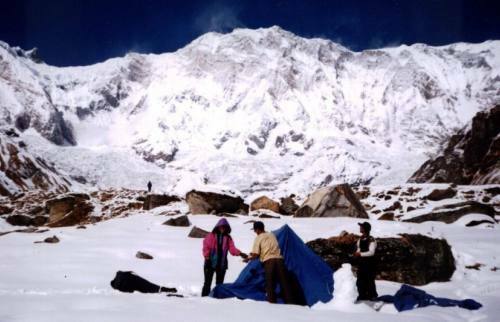 Round Annapurna via Thorong la pass trekking is considered to be one of the classic and most challenging trekking. 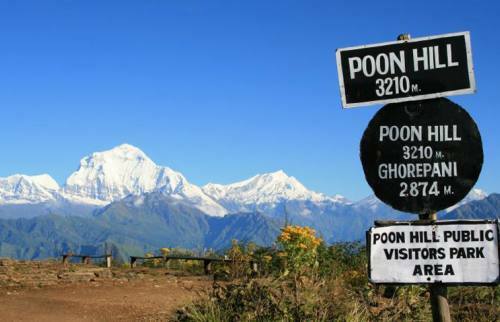 It is the longest trekking in comparison with other trekking trails. One of the interesting features of the area is that we can have view of a new spectacular mountain every other day, right from the first day of trek to the last day. Furthermore, another the most exciting attraction of the trekking is, the crossing of snow-covered Thorung La Pass (5,416m). It has become the centre of attraction for many tourists in later days, as the region is rich in breathtaking scenes. Besides that the tourists can explore the diverse culture and lifestyle of people living in the areas and the flora and faunas lying as a living museum. You can see a blend of culture of different caste and creeds living in the area namely, Bramin, Chhetri, Tibetian Sherpa, Thakali, Magars, Tamang, Gurung among others. 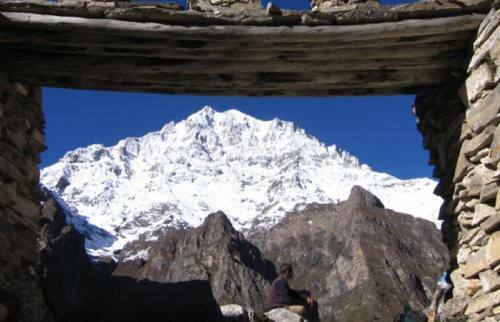 Besides that the trekking offers a panoramic Himalaya scenery including the Mt. Dhaulagiri 8167m, Mt. Annapurna I (8091m), Mt. Manaslu (8163), Mt. Annapurna II (7937m) , Mt. Annapurna III(7555m), Mt. Annapurna IV (7525m), Mt. Annapurna south (7219m), Mt. Nilgiri (7041m), Mt. Fishtail also called Machhapuchhare (6998m) , Mt. Hiunchuli (6441m), Mt. Lamjung Himal (6986m),Tukuche peak (6920m), Tilicho peak (7134m) among others.Apart from these, you also can see the different type of Animals such as musk dears, leopards, jackals, mountain Thar, birds namely, Pheasant, long tails birds. The trekking begins form Besishahar, where we can reach nearly six hours drive from Kathmandu. We subsequently continue our trekking to Dharapani, Chame and rest in Manang for acclimatization, during the acclimatization we take short circuit to Gangapurna glacier and continue our trekking to Thorong Phedi crossing Thorong la pass (5416 m) and we reach at Muktinath (3775m), subsequently, we head to Marpha, lete Khola, Tatopani, Ghorepani and Ghandrung, Pathana and finally we reach at Pokhara and we take either flight or bus to Kathmandu. Day 09Acclimatization ManangWe always have to careful with the high altitude for those Budget Adventure Treks & Expeditions highly recommend to stay on Manang. We do not have to confident on altitude and always be circumspect. 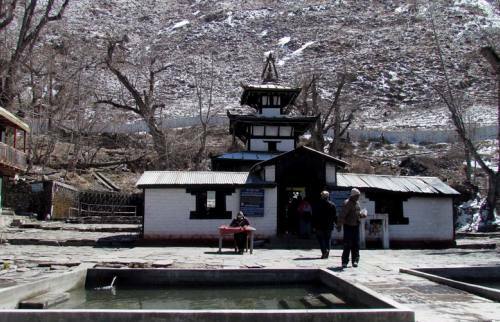 We will visit Bhojo Gompa or Gangapurna Lake which is the worth part of our acclimatization. Moreover, we will visit the monastery of Vraga and Himalayan Rescue Association where you can have chance to get more information about high altitude sickness. Day 19Pokhara to Kathmandu: 6 hrs drive After breakfast, we start our drive back to Kathmandu. Upon arrival in Kathmandu, we will be escorted to our hotel; and we spend the afternoon leisurely. If you need extra porter then it can be managed but takes extra cost if you want to walk without even small backpack.